Every few months another one is found wandering the streets of New York City alone: cold, hungry, homeless and with nowhere to go. 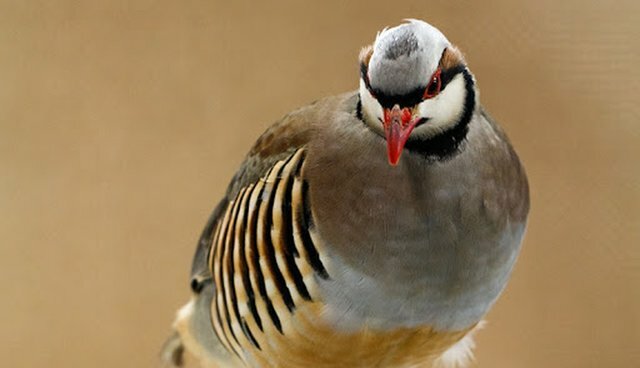 They're called chukars (Alectoris chukar) for the "chuk-chuk" sound they make in the dry, rocky areas of the Middle East where they are native to. They were introduced to North America as game birds, and have a wild population in the high desert of California and throughout the Rocky Mountains. In New York they are bred for their meat, and this little guy most likely escaped from a poultry market in the city. Although the Wild Bird Fund's mission is to rescue and rehabilitate wild birds, these domesticated chukars cannot survive on their own in the northeast, and they have nowhere else to go. There is no agency in New York City which will help abandoned domesticated birds. At the Wild Bird Fund, the chukar was allowed to wander freely and explore the inner workings of the center. 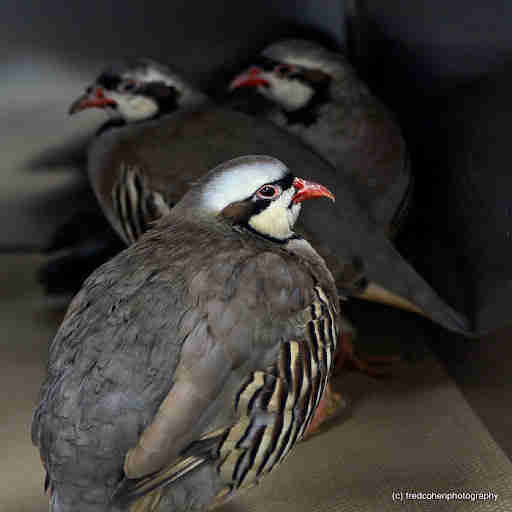 But chukars are happiest in flocks, and in the wild live in convoys of up to 50 individuals. 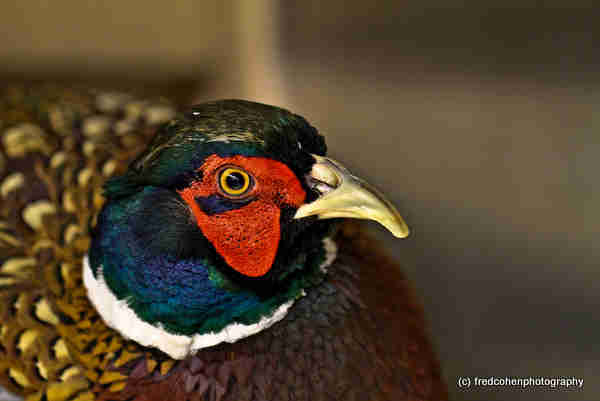 It was only when a pheasant arrived at the Center did we really understand what it means to be a happy chukar. Like chukars, common pheasants (Phasianus colchicus) are native to Asia, were introduced to North America as game birds, and have a wild population throughout the West and the Rocky Mountains. In New York they are also bred for their meat, and our pheasant had also escaped from a poultry market. The two promptly became inseparable, with the larger Pheasant leading the way and the smaller chukar following him at every turn. They would sleep together, eat together and never leave each others side. A few weeks later, to the utter delight of our chukar male, we received two more gamebirds: a pair of chukar hens. It was mesmerizing to watch our male herd the females into a little group behind the pheasant, who then led his growing herd around the Center with an indifference befit only the rich and powerful. We eventually found a home for the entire brood at a sanctuary in upstate New York. 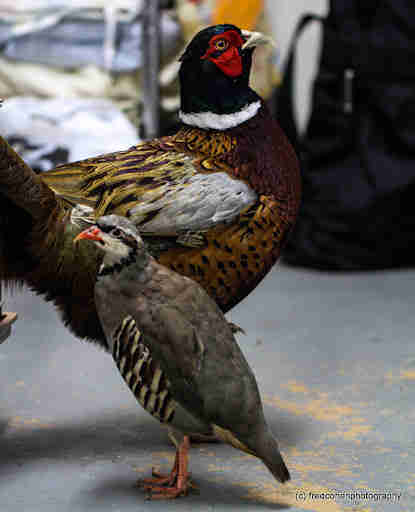 The pheasant has continued his role of herd leader, and has accumulated a following of smaller rescued birds there, while the chukar, who started off wandering the streets of New York City alone, has finally got a full flock of his very own.